Creative Photo manipulation : There was a time when the clichéd notion that "there is a child inside all of us" warmed our hearts. However, we had never actually pictured what such a child would look like. 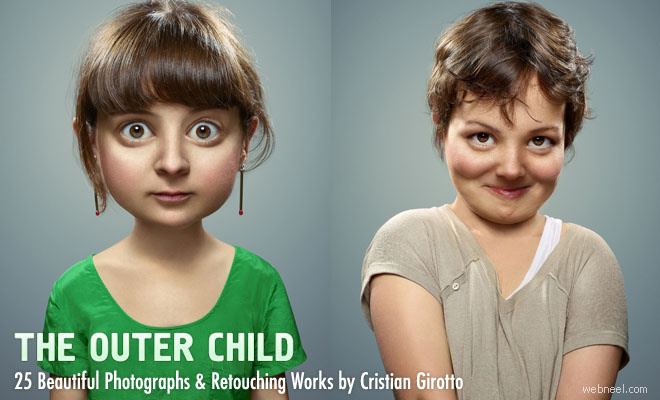 After seeing the collaborative project by Paris-based retoucher Cristian Girotto and photographer Quentin Curtat entitled, "L’ Enfant Extérieur (The Outer Child)," we never want to imagine such a fantasy ever, ever again.